Louis L’amour continues to impress with my latest read, Last of the Breed. One generally thinks of L’amour as master of the Western novel, but he proves otherwise with his other amazing historical novels. Last of the Breed is one of these. L’amour takes a main character who can be overused and somewhat cliche: a woods-smart, American Indian with a love for the forest, and drops him into the setting one least expects: Soviet Russia. Major Joe Makatozi, of the US Air Force, has been captured by the Soviet Union and sent to a secretive prison camp in Siberia under the command of Colonel Zamatev. But when Joe Mack escapes by pole vaulting the electric fence during a lights blackout, Zamatev sees all his career gains about to evaporate before his eyes. The book follows the journey of Joe from western Siberia all the way to the Bering strait. One man, alone, during winter, in Siberia, being pursued by the army, secret police, and bounty hunters. Definitely not your stereotypical American Indian novel. Though nine-tenths of the book are Makatozi eating, hunting, and walking through the Siberian wilderness, the book is not boring in any way. All the time, Joe Makatozi knows that Alekhin, a Russian Yakut, or indian, is on his trail. Alekhin understands the woods – his goal is to find and kill Joe. Along his way, Joe stumbles into a village of dissidents who resist the Soviet government. There, he meets Natalya and her father. He stays with them for a month or so but then continues onward when a jealous rival betrays the village for information. From this point on, we are immersed in Natalya, or Talya’s, story as well, as she and her father flee the village and make for the coast. Joe has promised Natalya that once he escapes he will return for her. A slim hope, but Talya takes it. Soon she finds herself the target of Kyra Lebedev, Zamatev’s beautiful right hand who wants Natalya so that she can pressure Joe into surrender. She hopes to gain an advantage over Shepilov, commander of the regional KGB, who searches for Joe as well. Ultimately Joe is pursued by Zamatev and Kyra and their soldiers, Shepilov and his KGB, and Alekhin, who stands subtly in the background with death on his mind; perhaps the only person who truly can track Joe and find him. The book is amazing; let us leave it at that. The final page is perhaps the best ending I have ever read in a book; as a writer, I hope to someday write an ending half as good as this one, and I shall be satisfied. L’amour definitely has proven with this novel that he’s capable of breaking out of his Western genre. 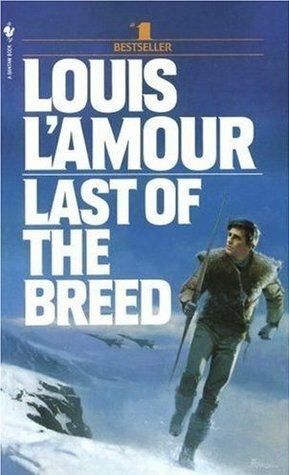 I highly recommend Last of the Breed to any L’amour fan or to anyone who enjoys action, adventure, and suspense all rolled into one exciting package. Any explanation why the American Indian lead character has a polish name? Nope, no explanation. At least, the book doesn’t give any. I’ve only read one other L’Amour novel, “The Rider of Lost Creek”. It was pretty good, if a bit predictable. @Corey: I enjoyed his westerns, but they just didn’t stand out to me all that much. This book and The Walking Drum are very good, though. The polish last name is from a scottish grandfather. If you like this novel, you may also like his Sackett series. The first three books take you through colonial times in America. They are not written in his typical western gunslinger style. The Sackett books make you want to do your own research on American and English history. I agree that The Walking Drum is a very good book, better than Last of the Breed. I also recommend The Haunted Mesa.